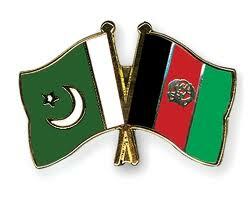 Pakistan and Afghanistan are two countries that are very closer to each other from old times. It will not be wrong if we call Pakistan and Afghanistan as real brothers because both the countries has many things similar in them. Population of Pakistani province Pakhtunkhwa is Pashtun which most of the Afghanistan Population is as well. Most of Wheat and many other thing of daily use goes from Pakistan to Afghanistan. Even Pakistani Currency is acceptable in many parts of Afghanistan. Two Million Afghan Refugees are living in Pakistan from twenty years and many Afghans comes to Pakistan to earn money. During the Afghan Russia war as well Pakistan fully supported Afghanistan due to which Russia lost the war in Afghanistan. Pakistan and Afghanistan has joint Border of hundreds of Kilometers. Even now Pakistan has major role in stabilizing the situation in Afghanistan and Pakistan has offered to play its role for this purpose.